Use your fingers or a sponge to apply the foundation. Apply the foundation at the centre of your face. Blend the formula outwards and upwards for a flawless finish whilst erasing any imperfections. 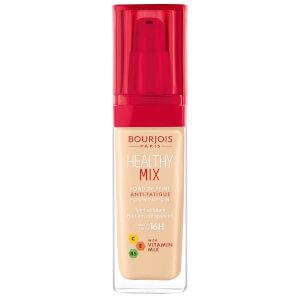 Great Foundation , also For my oily skin!! I'm very happy with the purchase. The foundation is absolutely fantastic, and the order arrived way before the expected arrival date. Many different coupons were in the box as well. Too bad I can't use them since I am in the US, and not in the UK. Overall, I'm extremely satisfied!!! Lightweight foundation with very natural finish which is the most important fact to me when it comes to buying foundation, ideal for "no makeup" makeup. Lovely packaging, great smell, great price. Some people say it' s a dupe for Chanel Vitalumiere Aqua, I wouldn't know but now I dont' have need to try it. Love it!